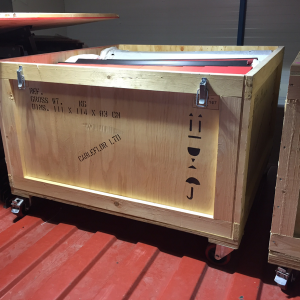 These are ideal for overseas project where transport is in the hands of a third party and handling may be a bit on the rough side – tough, heavy-duty and lockable. They can be stacked in your warehouse or on the truck to make the most of space. 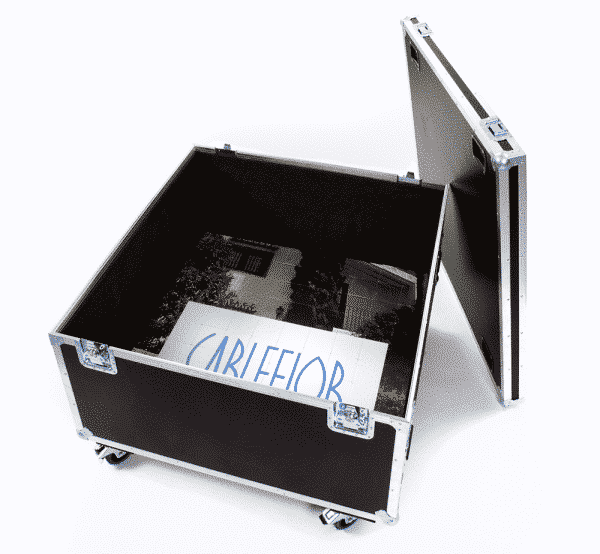 Heavy duty flightcases are useful when shipping larger quantities of Cableflor on the overnight network. Whilst the overnight couriers are a very cost effective method of shipping, there is a risk. With multiple handlers, your consignment can sometimes get some rough treatment. It can be even worse when shipping internationally. 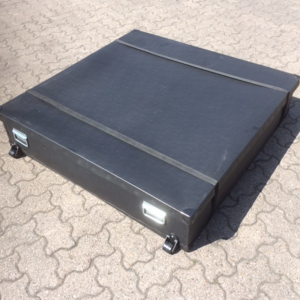 Safeguard your investment with a heavy duty flightcase. 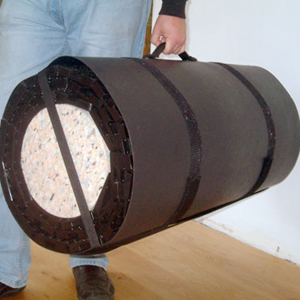 It can take up to 50 square metres of flooring, which weighs around 225kgs. In terms of volume this is only one cubic metre. So if it’s travelling at speed off the back of a truck, it will need to be very sturdy. You will be able to lock your flightcase with a padlock. Once at the show, you will more than likely stack other items on top of it and use it as a trolley. Then, once you are all set up, you will probably put essential tools for the derig inside. Perhaps, it will just be other storage bags and boxes. whatever it is you can secure it again with your padlock. We appreciate it’s not a cheap item, but you will be glad you have it when on site with you – it makes the flooring quick to load and secure in your transport. In addition, it keeps it nice and clean whilst in storage.